Push for the MLS Playoffs! 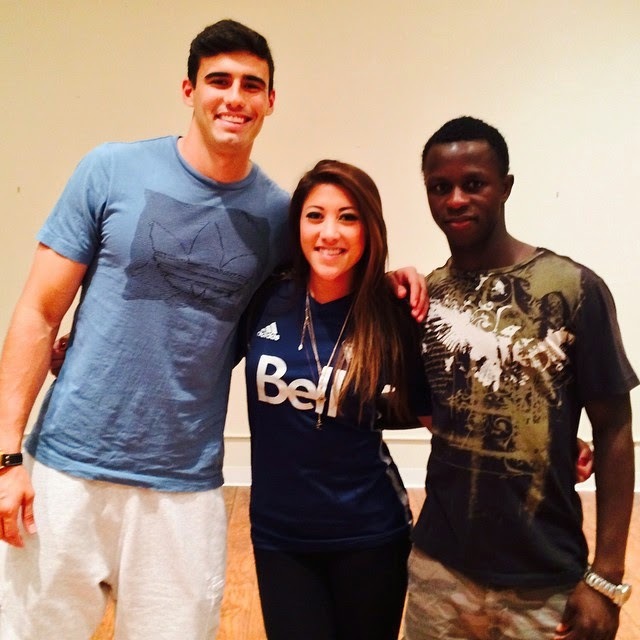 What a blast it was to spend an evening with some good friends recording a video, then having the privilage of recording some footage with two star players of the Vancouver Whitecaps FC, Kekuta Manneh and Omar Saldago! Given the fact that they were thrown into the studio, told what to do, then in three takes, finished. If they didn't dance as comfortable, or didn't lipsync the way everyone thought they would, you gotta know, we recorded this with them in literally 15 mins! Here's to the push for the playoffs. We've only made it twice in four years of being in the MLS. Let's go boys! The MLS even blogged about it! Thanks to Clayton Imoo, Jason Nickel, Ben Wylie and his studio One Thousand Rivers! Thanks to Omar and Kekuta for playing along!